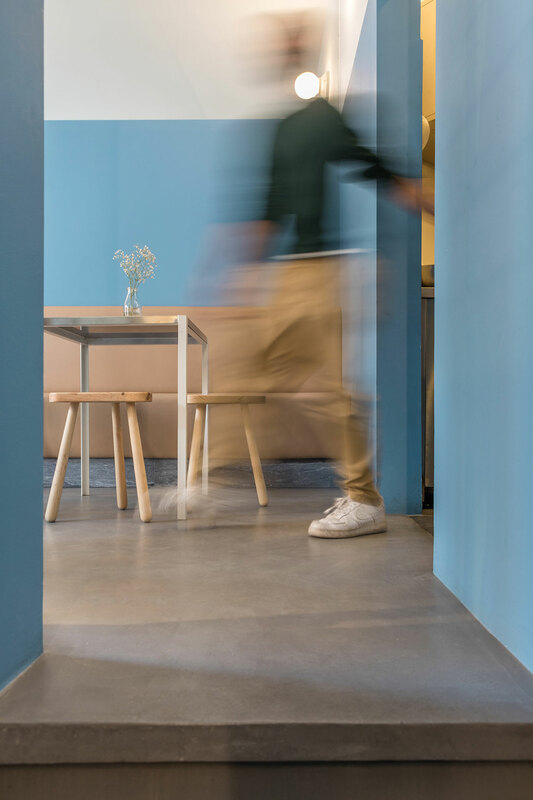 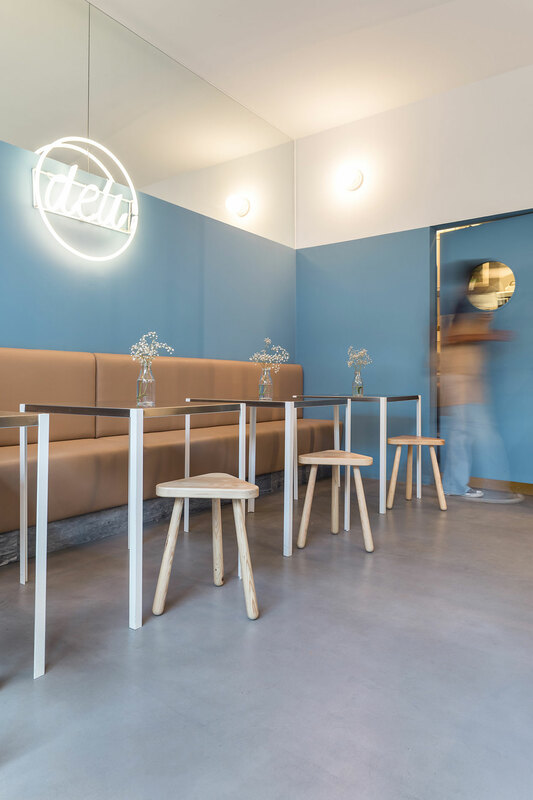 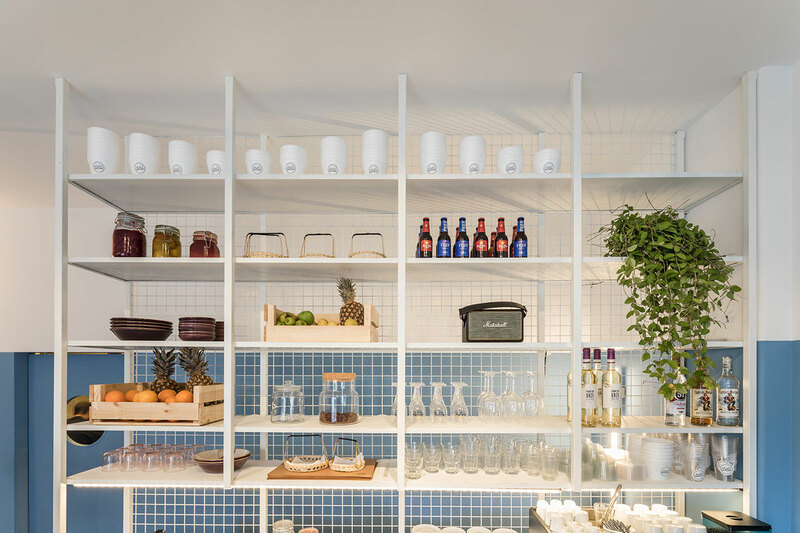 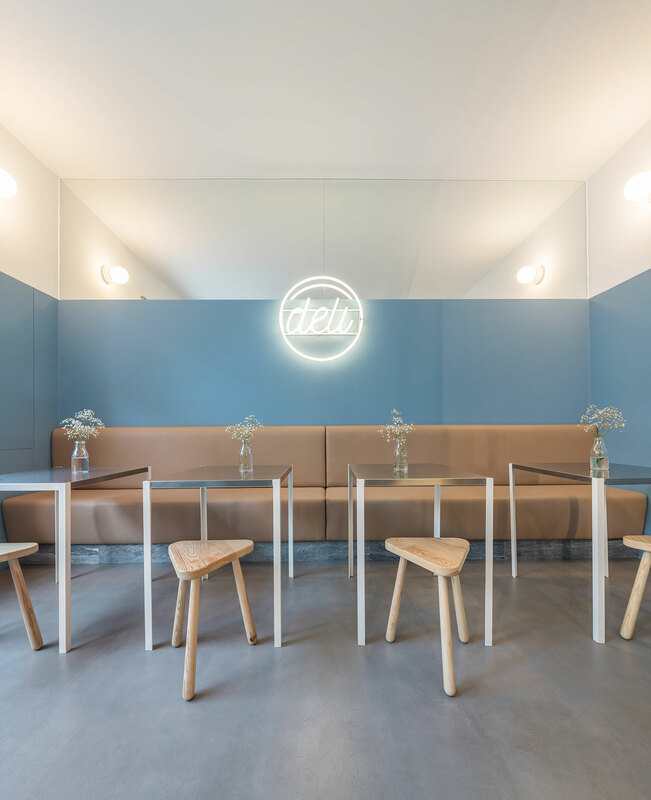 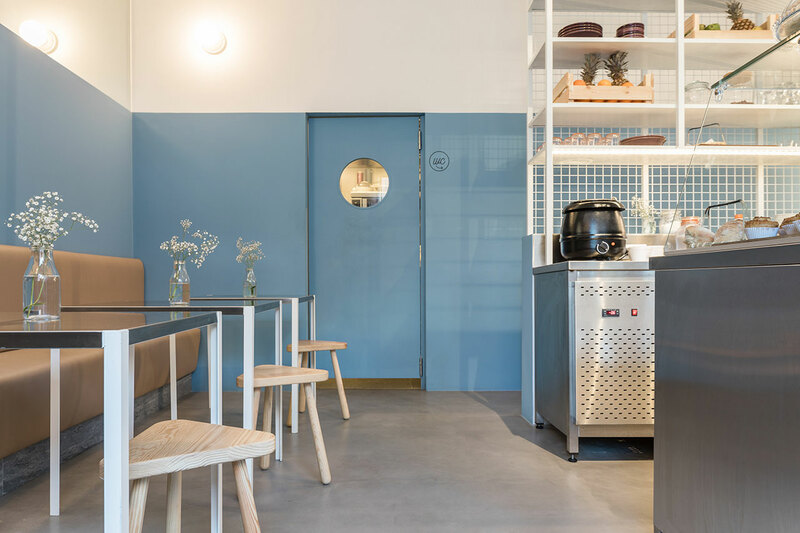 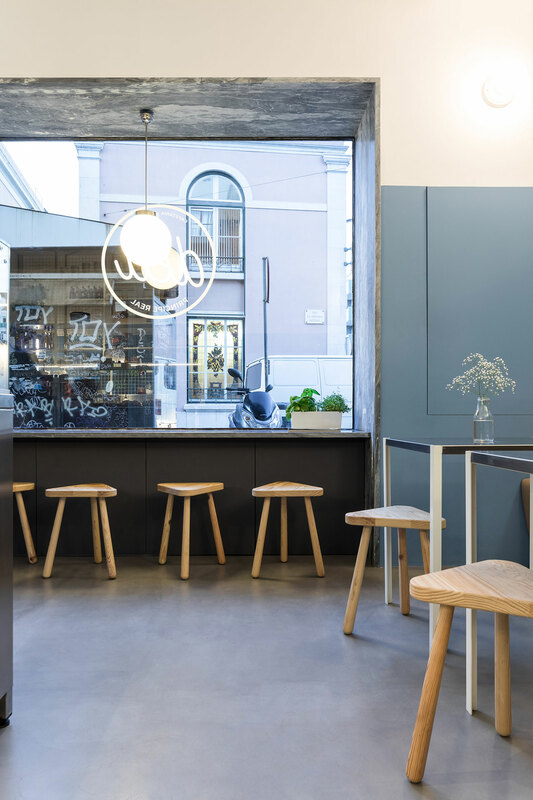 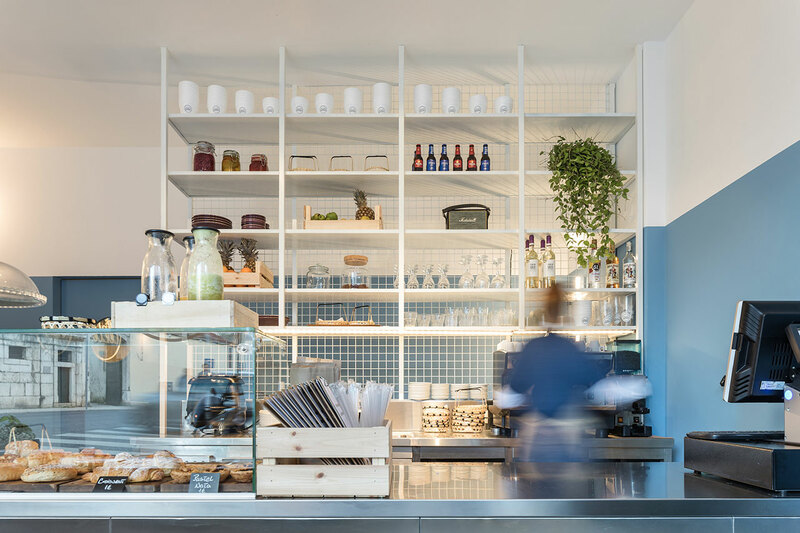 Located in the historic neighborhood of Lisbon's Príncipe Real, Deli, a new cafeteria designed by local architectural practice DC.AD, offers an all-day service in a clean-cut environment of minimal elegance and retro vibes. 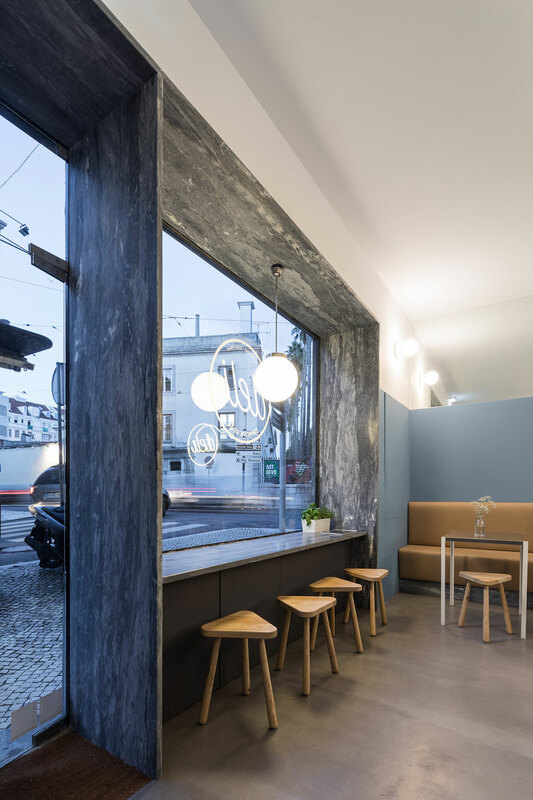 Occupying a ground floor space of 25 square meters, with an additional basement level for lavatories and storage, the canteen is minimally furnished with just one row of seating along the side wall, which, along with the mirror above it and large display window overlooking the street, makes the space feels uncluttered and airy. 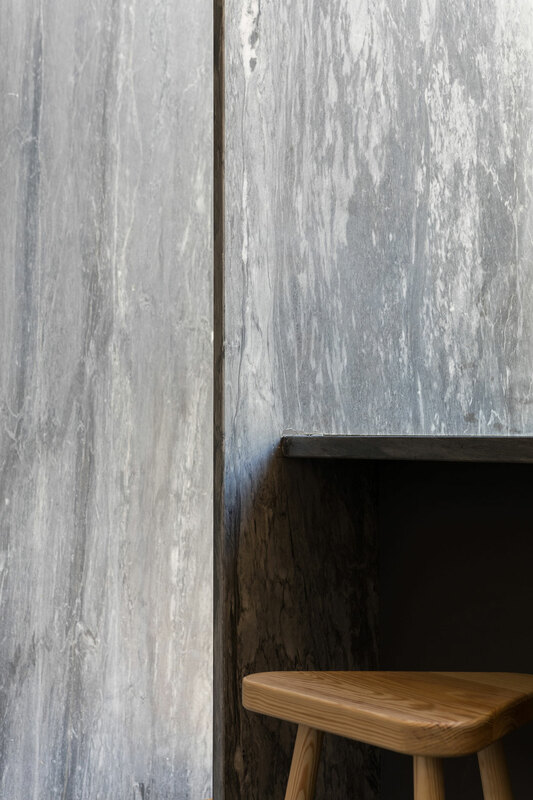 Part of the original building design, the display window and adjacent entrance are framed externally by a marble cornice, a feature which the architects have ingeniously replicated on the interior. 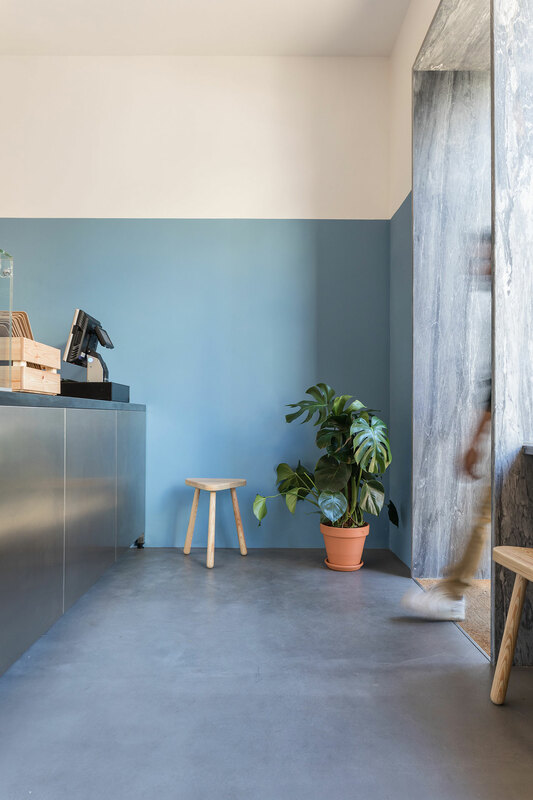 Designed with the same material but in a more minimal fashion, and having more depth in order to incorporate a counter along the windows length, it stands as a sculptural threshold between the exterior and interior. 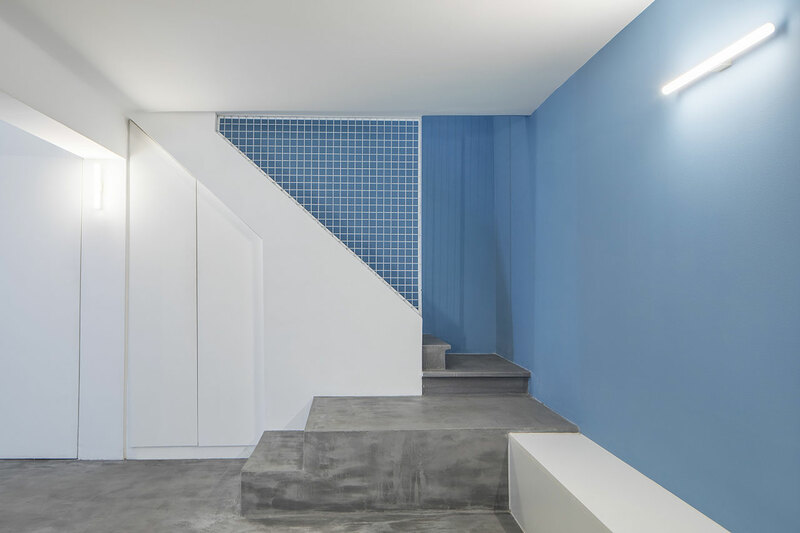 In order to bring some daylight to the basement level, the wall that once shielded the staircase was demolished and cleverly replaced by a white shelving unit that rises all the way to the ceiling. 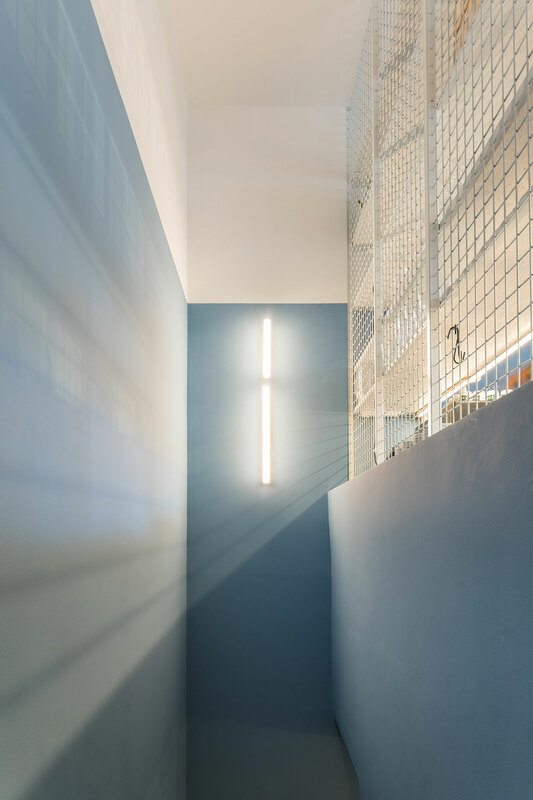 Backed by a metallic mesh, the structure both allows light to pass through and serves as a display for groceries, utensils and plants. 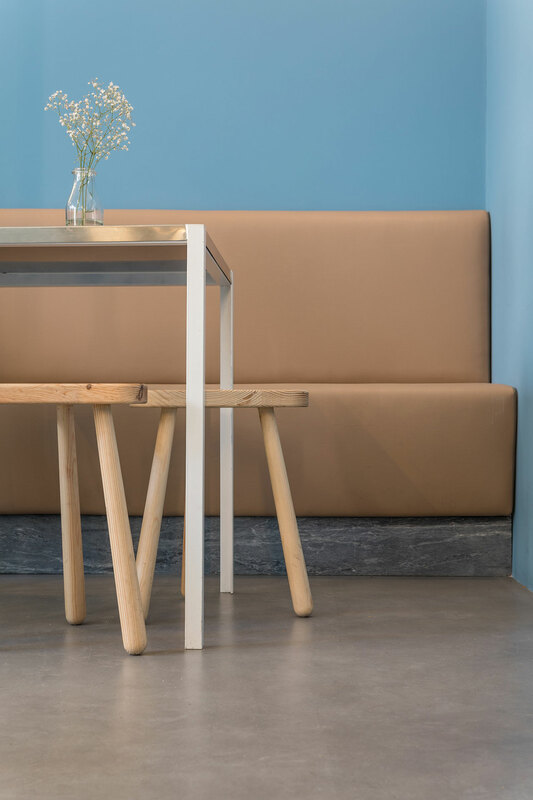 For the interiors' palette, the designers have selected pastel colors, teal blue for the walls and tan leather for the diner-like seating, harmoniously complemented by the coolness of the polished grey concrete floors and the stainless steel counters and matching tables to create an atmosphere of urban sophistication albeit softened by the wooden stools and the planted pots. 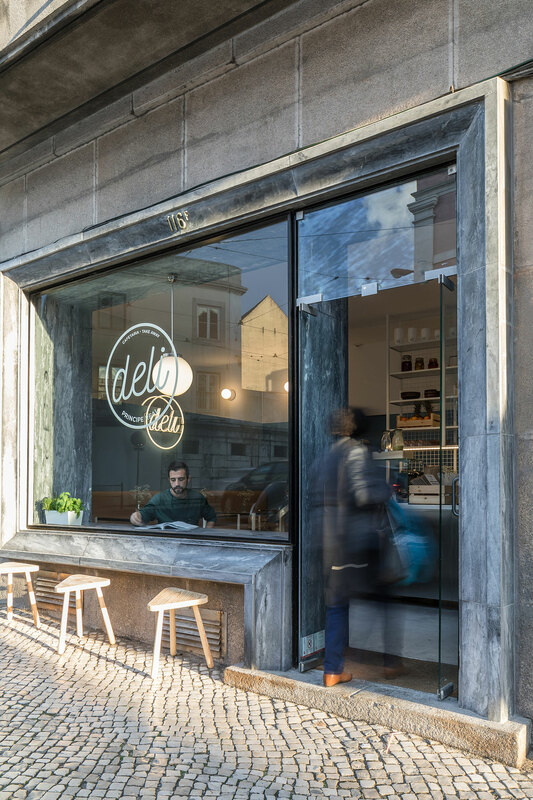 With a breakfast menu that includes croissants, bagels and crepes as well as all-day treats like tapas, sandwiches and salads, Deli is the ideal place in Lisbon to start your day in its historic center or grab a snack on your way to visit the city’s botanical gardens next door.